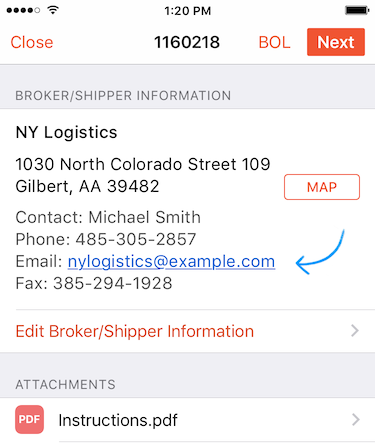 Avoid unnecessary check calls, text, and email messages from the Brokers and Shippers about the status of a load, use Super Dispatch app to Send Status Update. Reminder: Copy of the Bill of Lading (BOL) will not be included inside the status update email. In order to send the copy of the BOL, please use the Share BOL function of the mobile app. If your Send Status Update button is greyed out (disabled) or not visible, please make sure your load has valid Load ID number and Broker/Shipper email address. 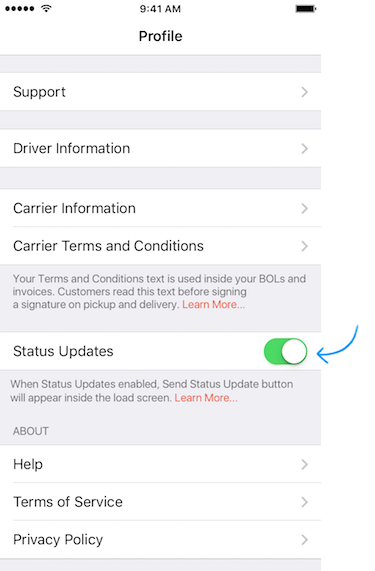 Status Updates button can be easily turned on and off by going to the Profile screen of the app and tapping on the toggle. Your privacy is very important for us. We send your current location ONLY when you tap the Send Status Update button. One time. 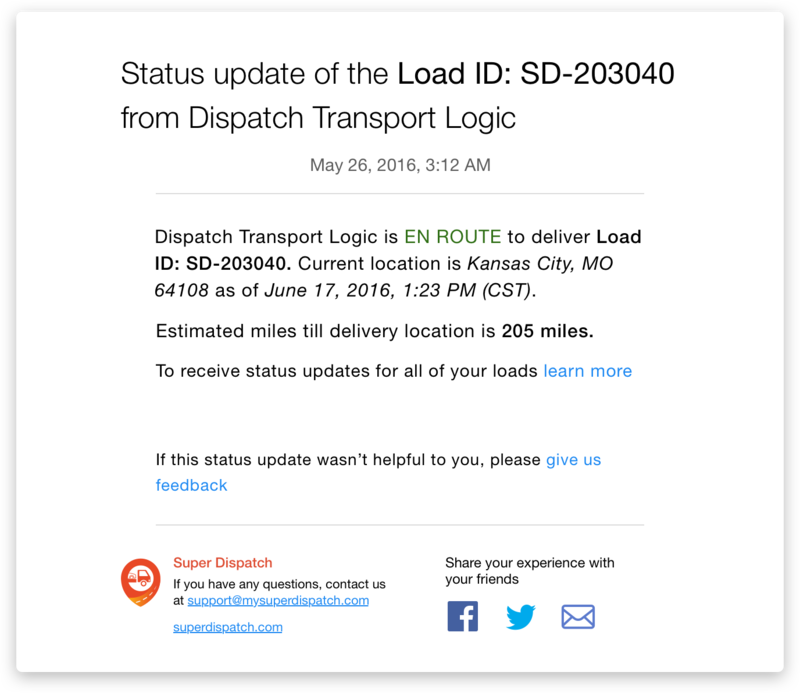 Super Dispatch will NOT track your location. You are in total control of this feature. Please make sure to have the latest version of the App from the app store.